How to Alton Towers Half Price Discount Entry 2017 and 2018, Any Time, No Pre-Booking! We are now well into the 2017 summer holidays, and whenever we have a rain free day many UK families will be off on day trips to the UK's various theme parks, with Alton Towers definitely at the top of the list especially for 12's and over's. But Don't pay the GATE price! In fact don't pay the lower online price either! that requires pre-booking, which means your gambling on the weather. 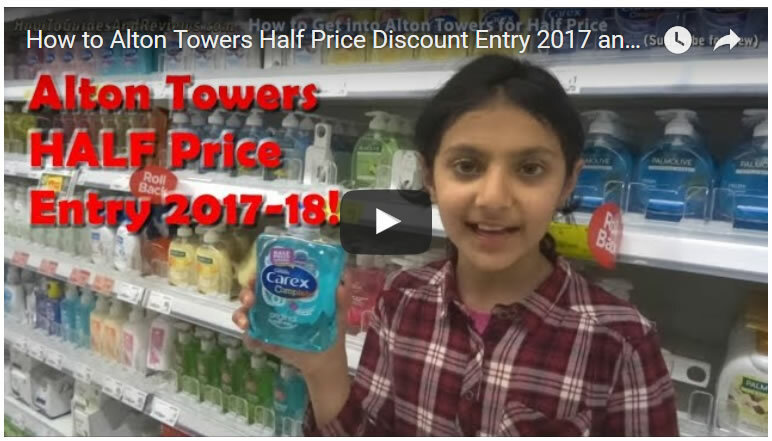 Instead in this video we show you 3 easy ways to get into Alton Towers at HALF price, (that's cheaper than Alton Towers online price) anytime! No Pre booking! What's more you can use our 3 methods to gain cheap entry until 31st May 2018, so it could be a good idea to stock up on some bottles for future day trips.